Are you frustrated with thinning hair or a receding hairline? Is your hair brittle, limp, dull, or otherwise less healthy than you would like? Is your scalp itchy, flaky, or otherwise less healthy than you would like? If your hair or scalp are not as healthy as you'd like, The 15 Minute Fix: SCALP - Exercises To Promote Scalp and Hair Health will help bring them back to life. 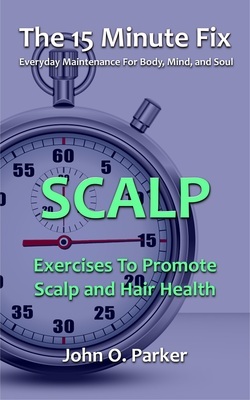 This book will teach you how to use scalp exercises to slow and possibly reverse hair loss, strengthen the hair that you do have, and improve the health of your scalp. The 15 Minute Fix: SCALP - Exercises To Promote Scalp and Hair Health is available in print and as an eBook (optimized for easy viewing on a smartphone).